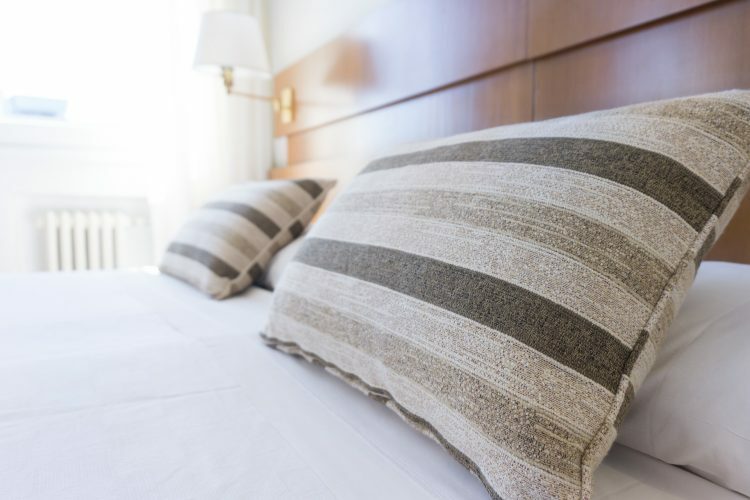 Being a light sleeper can be really frustrating at times and with no air conditioning, it can be a difficult situation to survive through the warm nights. With that said, there’s an affordable and easy solution. Quiet fans! Finding the best fan for this is no easy task, but don’t worry, we’ve done the hard work for you. So see below as we unveil our top picks for quiet fans designed to ensure you have a good night’s sleep. If you’re looking for a quick recommendation we highly recommend the Rowenta turbo silence fan, it may be pricey but the features and it’s powerful quiet cooling are the best in this guide. While it does have cons the positives outway the negatives which are being expensive and having nowhere to store the remote control on the fan are more like an inconvenience. It’s got a lot of decent features you can read more information by heading over to Amazon.com to view the Rowenta turbo silence fan in more detail. 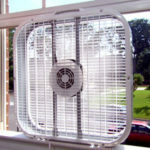 In this section we’ll be going over the most important features and key points you should be looking out for when purchasing a quiet fan to keep you cool while sleeping. You should ask yourself what you want most out of a quiet fan for sleeping. Is it to cool down the entire room for a while before bedtime, or does it need to be very quiet as the heat is unbearable that you need it switched on all night? To make sure you purchase the correct type of fan, you should think about what size the room is and how much space you have available. There are a decent amount of different fan types in this guide for you to take a look at, it depends on your own personal situation and your preference. Making sure the quiet fan is built out of a sturdy material is important, as you don’t want any rattling of parts to make any extra unnecessary noise. A heavier base makes for a silent fan because it’s less likely to rock and rattle. This is a really important one to look out for since you’re using a fan to keep you cool throughout the night or day. It’s going to be constantly left on for many hours at a time, possibly every day throughout the warmer nights. So make sure it comes with at least some kind of warranty to keep you covered since it will be getting a lot of usage. With some of the more pricey quiet fans it can be well worth the investment in the long run. The longer you are using one of these energy efficient fans instead of a maybe more costly air conditioning unit, overtime the higher price value and pay for itself in energy savings. 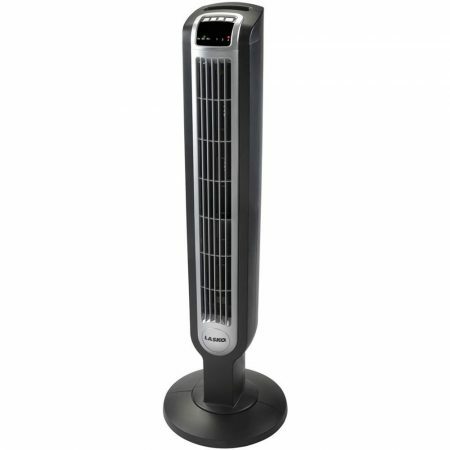 The Honeywell QuietSet fan was made to be used in all sizes of rooms and allows a high level of cooling and comfort. It includes a shut-off timer that ranges from 1 to 8 hours to give you peace of mind. With a carry handle built in and a cord management feature, this makes it so much easier to move it from one room to the next. It’s perfect for use in the bedroom as it includes 8 different quiet cooling settings. 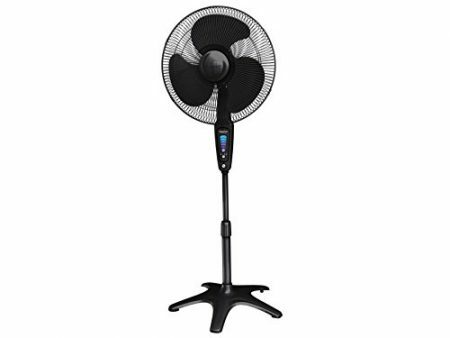 Featuring oscillation and a breeze setting you can be certain this quiet fan will allow air to circulate throughout the room as silently as possible. With 5 different speed levels this allows you to have complete control on how quiet or loud you want it to be. We recommend the Honeywell QuietSet fan for sleeping as it’s very affordable for what it offers and is very quiet, which makes it a perfect choice to cool you down as you sleep. The only thing you may have to watch out for is the LED display may be bright at night, so you might want to cover it if it becomes an issue. With a digital display and adjustable thermostat, along with all the other features makes it stand out from the rest. 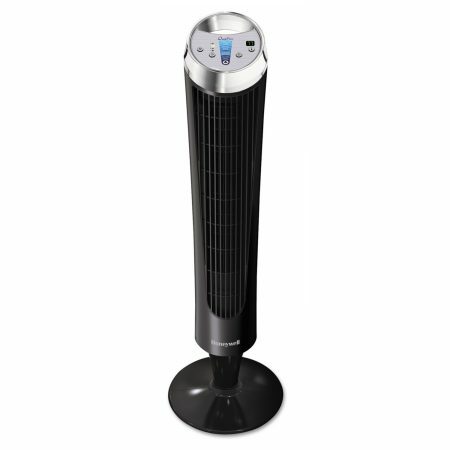 This Lasko tower fan will provide the quiet cooling you need to get through those warm nights. It’s got 3 quiet speed settings, a slim space saving design which is great for kids bedrooms or a smaller guest room. It’s made of a lasting durable plastic which gives it a decent build quality. It also comes with a remote control which has it’s own storage on top of the unit which is very handy. Has a useful timer interval feature which ranges from 1 to 7 hours and air flows in more than one direction thanks to its rotating feature. We highly recommend this Lasko tower fan as it’s perfect for smaller bedrooms and has decent airflow which isn’t too noisy. While it ticks most of the boxes to being the perfect choice for a quiet fan it’s not quite up to the task of cooling entire large rooms. With the additional features and the affordable pricing it makes a perfect choice for a peaceful night’s sleep. If you’re looking for the very best in quality and quietness in cooling you down while you sleep this Rowenta turbo silence fan is a fantastic choice. It’s got a propeller which is made up of 5 uniquely engineered extra-powerful quiet blades, that will give you an intense sensation of cool air without disturbing your sleep. To give you an idea of how quiet it really is the noise ranks from 40 to 57 decibels, that’s equal to noise levels you would have in a library! Including an adjustable height, remote control, timer settings, and the fan head can be adjusted up to 90 degrees in all directions. This creates a targeted airflow for extreme cooling. Overall we highly recommend the Rowenta turbo silence fan as it’s got premium quality which will last for years to come. There are very few drawbacks to this fan which make it very desirable, but it’s expensive and has no storage for the remote control. The quietest cooling fan you can find, it circulates air so quietly you may forget to turn it off! So it’s a good thing it’s got a built-in timer! 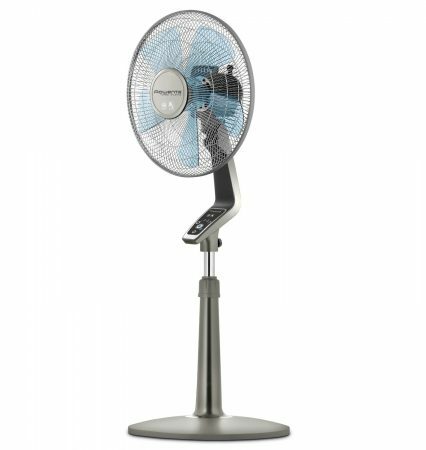 The Honeywell QuietSet standing fan is a very affordable stylish looking fan which will keep you cool at night while sleeping. It’s made from a durable plastic, has a shut-off timer, adjustable height and a 1 year limited warranty. It comes with 5 speeds/levels of quiet cooling options including “white noise” which is known to promote a healthy sleep. It helps to drown out background sounds which may prevent you from falling asleep or waking up whilst asleep. 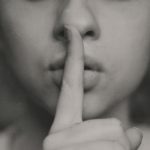 If you want to read more about “white noise” and it’s effects you can visit sleepjunkies.com to find out interesting information. 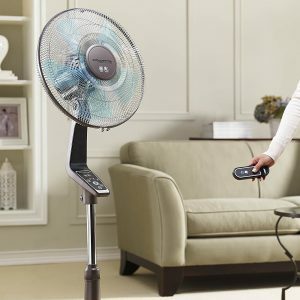 If you’re looking for an affordable quiet fan that includes some great features we recommend the Honeywell QuietSet standing fan. It’s got powerful whole room cooling with oscillation and multiple speed settings to send you off to a peaceful sleep. Just be aware of the bright LED display which could be covered if it causes a problem. This Avalon clip on fan is a powerful little fan which will keep you cool while you sleep very well, despite it’s smaller price tag it’s very capable and gets the job done. 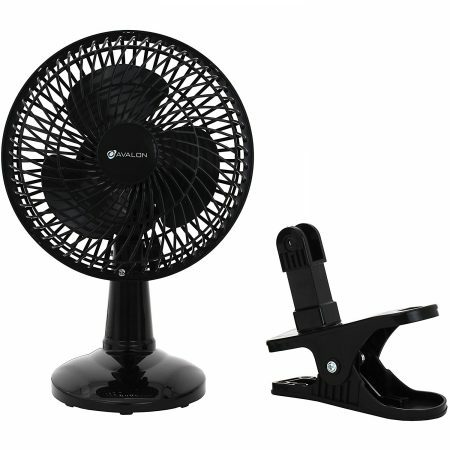 It’s easy to use, the adjustment to switch from tabletop to clip on fan is simple. You just loosen the butterfly screw on the head of the fan and use the attachment base you need. The clip has a sturdy grip so don’t worry about if falling off during the night. It comes with 2 quiet speeds which won’t disrupt other family members. For a very affordable price the Avalon clip on fan is versatile and can be used the way you want it. We highly recommend it if you’re looking for a cheaper option for a low budget which still allows you to get a restful sleep. After reviewing each of these quiet fans each one has their own different perks and features which would suit a wide range of different people. It’s just down to you to choose the perfect one for you. Each one of these fans will ensure a peaceful sleep which will leave you waking up refreshed and ready for the day ahead. 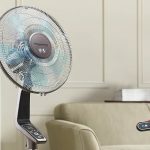 We hope you have managed to find one suitable for you but if not don’t worry, here is a bestseller list from Amazon.com which will have a much wider range of quiet fans for you to choose from.